Transponder Key Programming :Transponder key programming is one of the complicated tasks that is performed by only professionals. It requires a special kind of machine, this is why you should consult with an expert locksmith and get the right solution faster. One is always suggested to use the spare car keys that you get with your car. In case, you are unable to get the spare key at that time then locksmith can provide you new car key. Once the locksmith has determined ownership of your car, they will possibly provide a replaced car key within a couple of minutes. Damage Free Lock Services: When you hire the insured and licensed locksmith, you can rest assured with peace of mind for damage free services. It may happen that you have locked your keys inside the car. The locksmith ensures to open the car door without delivering any damage as well as can provide a new car key. Emergency Automotive Locksmith : Suppose, you lost your key in midnight, what to do? Don’t worry, call an emergency automotive locksmith who specialize to reach you immediately with well-equipped services. 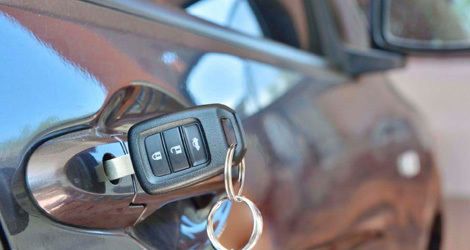 To get rid of car key lost issue, reach Fort Saskatchewan 24/7 Locksmith and get a solution that meets with your requirements. .